Redmi Note 7 Pro and Samsung's new Galaxy M30 headline our picks in the keenly contested sub-Rs. 15,000 price segment. The flagship smartphones may be getting more expensive each year, but it is a great time to buy a mid-range smartphone (phones under Rs. 15,000) in India. With some of the most anticipated phone launches out of the way, you no longer have to worry about an amazing phone dropping next week in the stores — not right away, in any case. The sub-15,000 price bracket currently offers some really impressive smartphones that not only come with an amazing set of specifications for their price tag but also pack a smartphone experience that can no longer be dubbed sub-standard. Over the past several weeks, we have seen some great new launches from Xiaomi, Samsung, Realme, including Samsung Galaxy M20, Galaxy M30, Redmi Note 7 Pro, and Realme 3. We have put these phones through our usual battery of tests to find which of the sub-Rs. 15,000 smartphones offer the best overall package. Also, for this list of best mobiles under Rs. 15,000, we've restricted ourselves to phones priced between Rs. 10,000 and Rs. 15,000 — if you are looking for even more affordable options, consider one of the options in our list of best mobile phones under Rs. 10,000. So, without further ado, let's take a look at our updated picks for best phones under Rs. 15,000. A part of Xiaomi's much-loved Redmi Note lineup, the Redmi Note 7 Pro (Review) was highly anticipated in the run-up to its launch and the phone didn't disappoint, making it one of our picks as one of the best phones under Rs. 15,000. In our review, we found the phone excelling in pretty much everything except the software, which continues to be a downer because of Xiaomi's love for bloatware and advertisements. The phone sports a premium design and offers great performance as well as good imaging experience. Additionally, the Redmi Note 7 Pro's 4,000mAh battery provides a stellar uptime. In our HD video loop test, the smartphone lasted for an impressive 19 hours and 23 minutes. , which is targeted at the smartphones from Chinese companies like Xiaomi, Vivo, Oppo, and Realme, Galaxy M20 (Review) is one of the most-talked about mid-range phones in the country currently and one of the top picks in our list of best phones under Rs. 15,000. In our review, we found the Samsung Galaxy M20 to be housing a sharp display and the phone offered good battery life. The day-to-day performance of the phone was also decent with rare UI lags. It, however, disappointed in the imaging department with most shots lacking detail and sharpness. The low-light images taken from the phone's camera also turned out to be below average. Additionally, the phone includes advertisements on the lock screen, and we found spammy notifications in the notifications shade. Samsung has released two variants of the Galaxy M20 in the country – 3GB of RAM + 32GB onboard storage and 4GB of RAM + 64GB onboard storage. After being available via flash sales for a few weeks, the phone is now being offered through open sales. landed on the scene with the Nokia brand, the company has been churning out some great smartphones and the Nokia 6.1 Plus (Review) is one example of that. This mid-range smartphone from the company performed impressively in our review. We found the phone to be packing a vibrant screen and the presence of stock Android is certainly a positive. The quick and regular software updates by HMD Global can't be ignored either, which makes the phone a standout in this list of best mobiles under Rs. 15,000. The Nokia 6.1 Plus delivers a smooth and consistent user experience. The imaging performance of the phone is also decent; however, the low-light imaging is kind of a mixed bag as the images taken from the phone have adequate detail but the camera struggles with autofocus at times. HMD Global is selling just one variant of the phone with 4GB of RAM and 64GB onboard storage. (Review). The smartphone may not have been able to replicate the greatness of the ZenFone Max Pro M1 because of its average camera, but it is not a slouch. In our review, we found this Asus phone to be packing a bright and crisp screen. The phone also offered great performance thanks to the presence of stock Android as well as a powerful Qualcomm Snapdragon 660 SoC. Additionally, the ZenFone Max Pro M2 provides great battery life, but a slow fingerprint sensor as well as smudge-prone body remain its biggest downers. The Taiwanese smartphone maker also recently promised to finally release the much-delayed Android Pie update for the phone in April. Asus is offering three storage variants of the phone in India – 3GB of RAM + 32GB of inbuilt storage, 4GB of RAM + 64GB of inbuilt storage, and 6GB of RAM + 64GB of inbuilt storage. We would suggest you go for the 6GB RAM variant. (Review) remains a strong contender for anyone looking to buy a new smartphone. Packing all the benefits of the Android One platform, including a promise of regular and timely updates, the Mi A2 performed admirably in our review. We found the phone to be offering good imaging experience, something that most mid-range and budget smartphones find hard to crack. The phone's day-to-day performance is good and there is no lag or any other issues. The areas, where the Xiaomi Mi A2 lacks, include the battery life and absence of a storage expansion slot. In our HD video loop test, the smartphone ran for just 8 hours and 13 minutes. Xiaomi has launched two storage variants of the Mi A2 in the country — 4GB of RAM + 64GB onboard storage and 6GB of RAM + 128GB onboard storage. With a recent price cut the 4GB RAM model of the phone has become very enticing at Rs. 11,999, however if you are ready to go a little over your Rs. 15,000 budget, the 6GB variant will be an ideal choice. of Realme 3 in the country, Realme 2 Pro (Review) continues to probably be the best smartphone from this Oppo spin-off company. It is an overall great performer with a solid build quality. In our review, we found the Realme 2 Pro to be packing a bright and lively display and capable of an impressive performance with little to complain about, making it one of the best phones under Rs. 15,000. The phone's imaging experience is also good, but only in daylight as the low-light imaging on the Realme 2 Pro is a big pain point. The photos shot in low light were a bit grainy, and details took a bit of a hit, especially in landscape shots. While we wait for the launch of Realme 3 Pro, the Realme 2 Pro is your best bet among the Realme phones. Realme sells three storage variants of the phone in the country – 4GB of RAM + 64GB onboard storage, 6GB of RAM + 64GB onbuilt storage, and 8GB of RAM + 128GB onboard storage. The 6GB RAM version of the phone arguably sits at the sweet spot of price and memory, however if you are ready to go a little overboard, 8GB of RAM can't hurt but be ready to go a little over your budget. 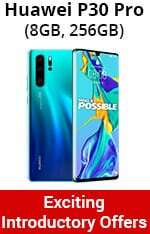 , the company has also launched the Galaxy M30 (Review) in the country. The Samsung Galaxy M30 includes a lot of Galaxy M20's problems, however the presence of AMOLED screen is a welcome addition. In our review, we found the phone offering good camera performance in daylight, however the low-light images leave a little to be desired. The phone's 5,000mAh battery is another major highlight. In our HD video loop test, the Galaxy M30 clocked 17 hours and 4 minutes. Samsung is offering two storage variants of the phone in the country – 4GB of RAM + 64GB inbuilt storage and 6GB of RAM + 128GB inbuilt storage. may have released the ZenFone Max Pro M2 in the country, but the ZenFone Max Pro M1 (Review) continues to find a place in our list of best phones under Rs. 15,000 because of the phone's great performance. In our review, we found the phone to be sporting great construction quality with good looks as well as a vibrant screen. The Asus ZenFone Max Pro M1 also packs decent cameras, however the camera app interface leaves something to be desired. The 5,000mAh battery of the smartphone was also a disappointment, however it was able to last a full day with medium usage, including fair bit of video streaming. Asus is selling three variants of the ZenFone Max Pro M1 in the country – 3GB of RAM + 32GB inbuilt storage, 4GB of RAM + 64GB inbuilt storage, and 6GB of RAM + 64GB inbuilt storage. We would recommend you go for the 6GB RAM variant of the smartphone. , the U1 (Review) actually performs better than the Realme 2 Pro in some categories, however it is the camera performance that lets it down. In our review, we found the Realme U1 to be housing a bright and crisp screen in a good-looking chassis, which helps the phone find a spot in our list of best phones under Rs. 15,000. The phone's day-to-day performance is good and its 3,500mAh battery easily lasts a full day on a single charge. The front shooter of this selfie-focussed smartphone takes decent shots in natural light, however it struggles in low-light conditions. Same is the case with the rear dual camera setup. Also, there is no 4K recording and video stabilization support. Realme has released two storage variants of the phone in the country – 3GB of RAM + 32GB built-in storage and 4GB of RAM + 64GB built-in storage. We would suggest you go for the 4GB RAM variant. (Review) that we are including here. The Honor 8X comes with a premium design and performs great. In our review, we found the phone to be offering a lag-free experience. Honor 8X is another phone with a middling camera performance. The autofocus with Honor 8X's rear camera is quick and mostly accurate in good lighting, but the resulting photos lack clarity. Night shots look passable on the phone itself, but a lack of detail is clearly visible when seen at full size. The bulky size of the phone is also a downer. Honor sells three variants of the phone in the country – 4GB of RAM + 64GB inbuilt storage, 6GB of RAM + 64GB inbuilt storage, and 6GB of RAM + 128GB inbuilt storage. The 4GB RAM version of the phone is the only variant that falls in the sub-Rs. 15,000 price segment. (Review) is a solid option worth taking a look at in this list of best phones under Rs. 15,000. It has a crisp and vibrant display, fast biometric security features, and good performance, and above average battery life. The smartphone actually managed to go on for 10 hours and 8 minutes in our HD video loop battery test. In true Vivo fashion, the smartphone takes good selfies, even in low-light, however the low-light performance of the rear camera is below average. Vivo is selling two variants of the phone in the country - 6GB of RAM + 64GB built-in storage and 4GB of RAM + 64GB built-in storage, however only the 4GB variant falls in this price segment. , which too packs a premium design and is capable of providing decent performance. However, like the Honor 8X, the cameras of the Honor 10 Lite (Review) are also nothing to write home about. The inclusion of artificial intelligence in the camera software of the phone isn't much help either. In our review, we found that photos taken without AI were better than ones taking using the AI mode in many instances. Honor offers three storage versions of the phone - 6GB of RAM + 64GB onboard storage model, 4GB of RAM + 64GB onboard storage, and 3GB of RAM + 32GB onboard storage.